The Cabinet of Ministers has agreed the dismissal of four heads of regional state administrations, Youth and Sports Minister Ihor Zhdanov has told LIGA.net. 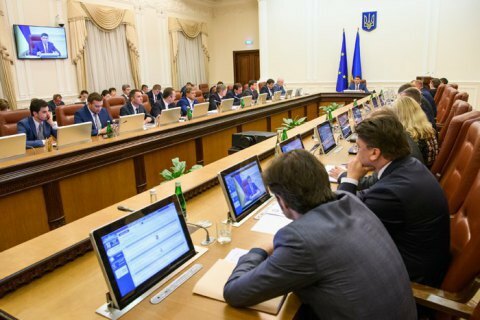 In particular, the government approved the president's draft decrees to dismiss Yuriy Harbuz, head of the Luhansk regional state administration, Oleksandr Horhan, head of the Kyiv regional state administration, Oleksandr Fishchuk, head of the Chernivtsi regional state administration, and Yuriy Tkachenko, head of the Cherkasy regional state administration. The Cabinet of Ministers also agreed the nomination of Oleksandr Tereshchuk for head of the Kyiv regional state administration. He is the first deputy head of the Odesa regional state administration. Previously, he headed the Kyiv police. The government also agreed a draft decree to appoint Oleksandr Velbyvets head of the Cherkasy regional state administration. He is now in charge of the Cherkasy regional council.